In order to get to Australia, in the initial stage, you must be aware of the different visas that can govern the movement. With the help from recognized and certified immigration specialists, you can easily ensure that you have been moving in style. But nevertheless, if you feel that you need assistance for the Australian Permanent Resident application, you can visit the website of Department of Immigration and Border Protection (DIBP), and facilitate your immigration pursuits. For the new folks–who have just logged into this website and they want complete information about the Australian Permanent Resident application process–you can visit the previous blogs posted that can help you deal with other intricacies associated with the immigration. But in this piece specifically, you will come to know that how crucial the role of the professional immigration agents would be, in terms of helping and guiding you move to the overseas hotspot with a Permanent Resident (PR) status. Check it and gain from their skills and experience even while you move to your preferred destination with a PRV! How Can Immigration Agents Be Beneficial for the PR Visa? Immigration process involves a lot of paperwork and valuable time, and you would never feel like sitting in the same visa interview for the second time. In most cases, the immigrants mix up things and end up ruining their interviews. One small mistake can cost you the prize and the much sought after PR standing. The job of the visa advisors is to make sure that all your mistakes are dealt away with in the mock drill. They will organize a mock visa interview where they will ask the similar type of questions even as you will have to deal with the questions accordingly. By doing this, they will prepare you well for the future uncertainties that can rewrite the possibilities. You will be equipped with the best answers and replies to all sorts of possible questions. In the worst case scenario, the application will get rejected and you will be given the second chance. But the question is will it ever materialize. In times, it will be perhaps but not always. The immigration agents will help you understand the repercussions, and based on the outcome, you will have to prepare the interview. It is likely that you can minimize the losses and uncertainties when you are made aware that this is the chance that you have to make it count. The immigration consultants will never weave false hopes, and they will make it simple and clear for you that you have to make the moment count during the interview. When you have got a good immigration agent, they can help you maneuvering with the permit regulation. At their counsel, you can easily manage the toughest PR interviews and ace it down with panache. In most of the times, the council can end up simplifying the procedure and even assist and guide you with other intricacies. It is highly recommended that you should stick to a good immigration service provider who can help you with Australian Permanent Resident. Talking of such professional engaging Abhinav will be a good idea. They are a well-known name in the field and have been playing a crucial role in helping and guiding the visa aspirants to the popular destination since 1994. 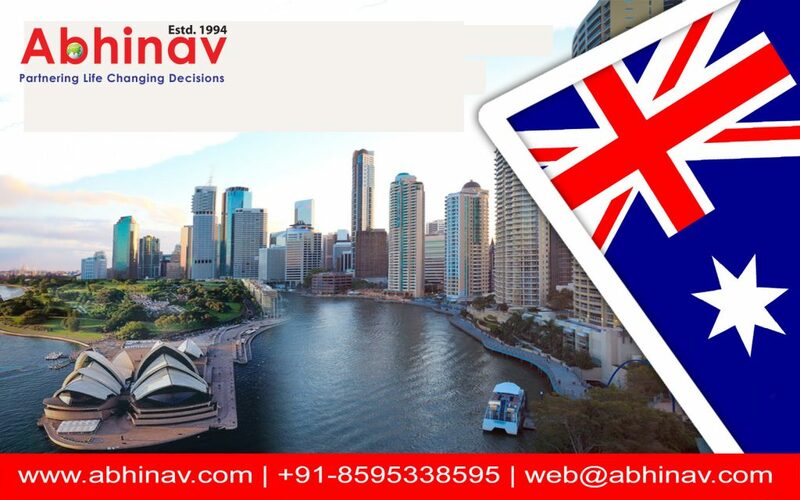 Spearheaded by Mr. Ajay Sharma, whose name needs no introduction, Abhinav over the years has become a highly trusted and respected name in the domain of visa & immigration consultancy. The organization’s amazing success record speaks for itself. There is a long list of beneficiaries who have successfully moved to several destinations of the world including Canada, Singapore, the UK, the US, Hong Kong, and of course, Australia. Speak to them TODAY, and gain from their wonderful expertise and experience. Sail through the difficult and long drawn out Australia Permanent Resident process with ease, and without any major problems. To get to Australia with Permanent Resident Visa application might be tough, but the presence of a good immigration consultant can instantly simplify the process.